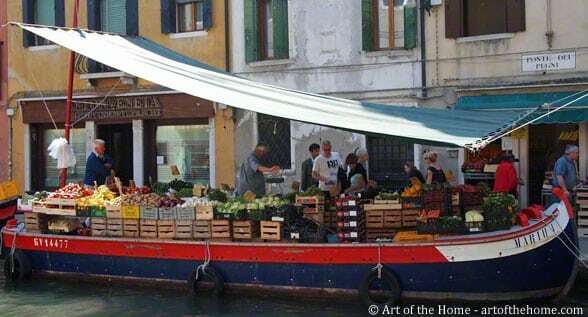 Pictures of Venice Farmers Market on the Canal, where else! 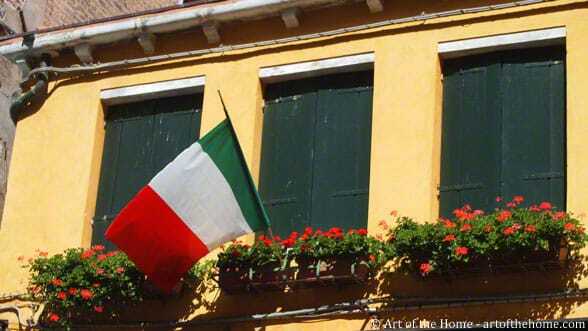 As much as we enjoy both the US and France, we are always looking for a little extra inspiration so today we are taking you on an excursion to “la belle Italie” (the beautiful Italy). 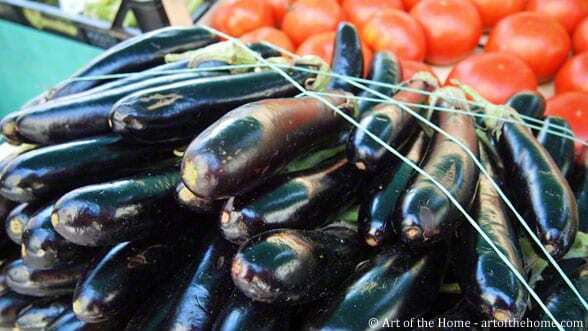 Italy has so much to offer! With so many picturesque villages and cities to choose from, Italy is definitely one of our favorite destinations. So let’s go to Venice. Venice is about 700 miles from Paris. You can get on a train early in the morning and be on a gondola in the evening — a long train ride but so charming! 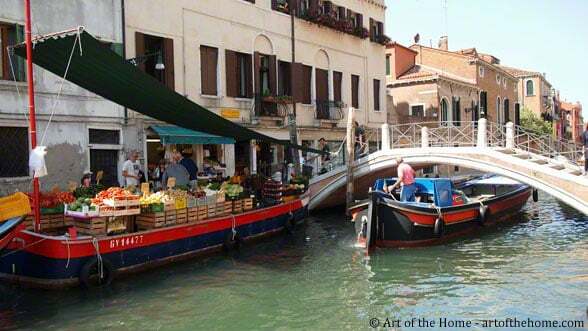 Our series on Italy starts with one of the most unusual farmers markets we’ve ever seen: a farmers market on a canal in Venice. 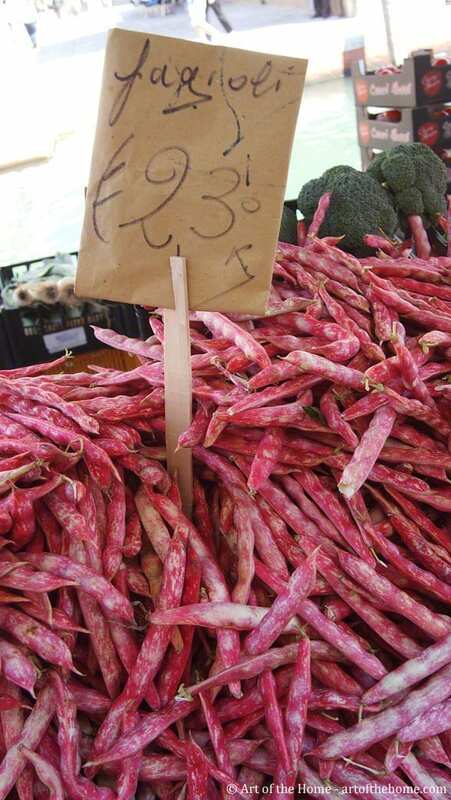 Or some “fagioli” (beans) for a “pasta e fagioli” soup? 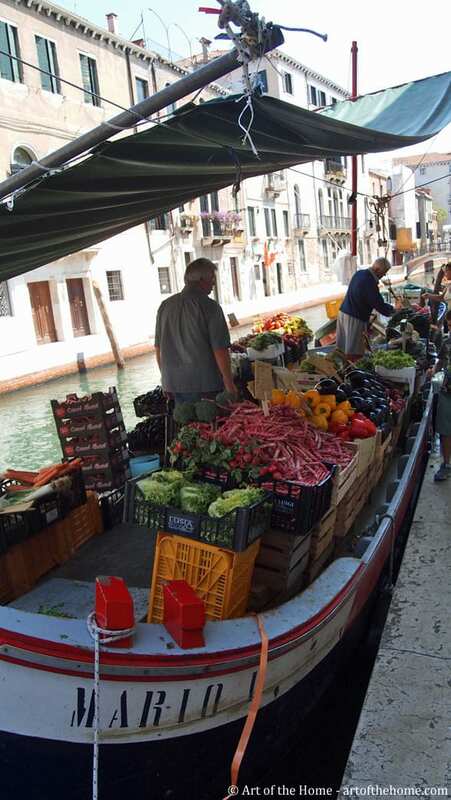 Buying fresh produce as boats and gondolas sail by — so inspiring. Enjoy!